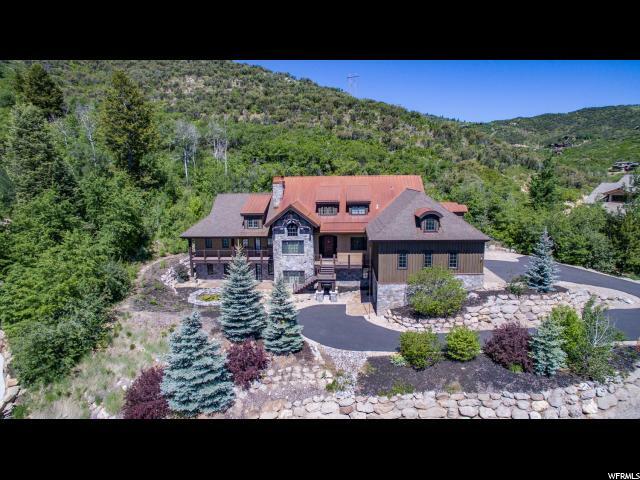 All CEDAR DRAW homes currently listed for sale in Park City as of 04/19/2019 are shown below. You can change the search criteria at any time by pressing the 'Change Search' button below. "This home offers the ultimate wow factor with large windows bringing the outside in with natural light and sweeping views. Entertainers dream home that offers an indoor pool, hot tub, and large deck. The indoor pool features a water slide, rope swings and diving board. The home has a spacious open floor plan and plenty of room for entertaining in the kitchen with double dishwashers and plenty of prep space. The well-known architect thoughtfully positioned this home to take advantage of the spectacular views from almost every room and also provide seclusion by being at the end of a cul-de-sac backing up to open space. The home also offers a 4-car garage for functionality to fulfill the needs of storage for the active Park City resident.Cedar Draw is located adjacent to the Canyons Village ski access and leads to some of Park City's most popular trails which are located right behind the home. Sun Peak amenities include an outdoor pool, tennis courts, gym and community center." "Entertainer's dream located in the desired Sun Peak Community. Main floor kitchen, living and dining rooms are all open making this home perfect for entertaining. Kitchen boasts 8x4 ft island with weathered granite, three sinks and two prep areas where everyone can enjoy cooking. Main level spacious master suite with balcony, wet bar, vaulted ceilings, walk-in closet w/laundry. Upper level has 2 bedroom suites, spacious loft and laundry. Lower level features family room, full kitchen, theatre room, exercise room and wine cellar. 3 bedroom suites, steam shower and laundry room complete this stunning home. 4 car garage for all your toys! Stunning steel/plank staircase, wood/steel beams, travertine, concrete, hand-scraped wood floors and stone fireplaces give this home a rustic feel. Backing right up to the Sun Peak trails system makes this home to true staycation!"